Two things I have always loved doing are looking down microscopes and drawing. I first fell in love with looking down a microscope in high school. We had a nun that use to take us down the local creek to collect water then bring back to the labs and look at it under the microscope. This opened up a whole new world that was exciting and new. This got me hooked and I knew that this is what I wanted to do. The thing that really fascinates me is the shape of different organisms and how they move around (that is, if they would stay still long enough). I would always take two samples - one that I would fix with a preservative and the other one that was kept live and put into the fridge. I couldn't wait to see what was in the live samples, the algae, what was moving and how others were attached to debris. I like them all but Diatoms and the Dinoflagellates are my favourite - they really are beautiful. As part of my job here at UTS for the past 30 years I have had many opportunities to collect specimens, have a look at them under the microscope and document what I have seen. 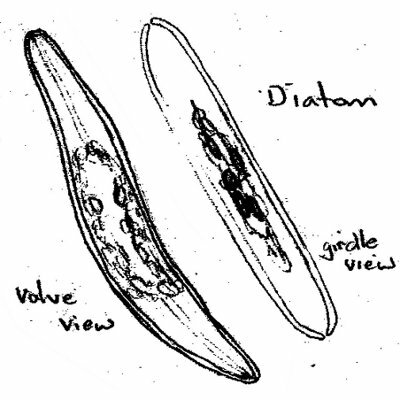 In the early days before computers and digital media I spent many hours peering down the microscope and drawing what I saw. This was done to help identify the different phytoplankton and keep a record of what we found. 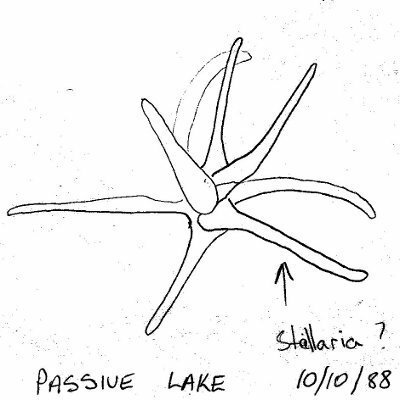 The lakes that these specimens came from were sampled regularly over several years so it was a way of capturing what we had seen and how the population was changing over time. I was mainly looking at the shapes of the different phytoplankton and their distinguishing features like stripes, ridges, girdles etc. I knew some of the species but those that I did not know I tried to draw as much detail as I could to help with the identification late on.